Finally our first Peruvian cevicheria in Singapore! Given our love for raw fish (just look at the number of sushi and sashimi restaurants, plus the recent poke craze), i'm surprised it's taking so long for ceviche to take off! 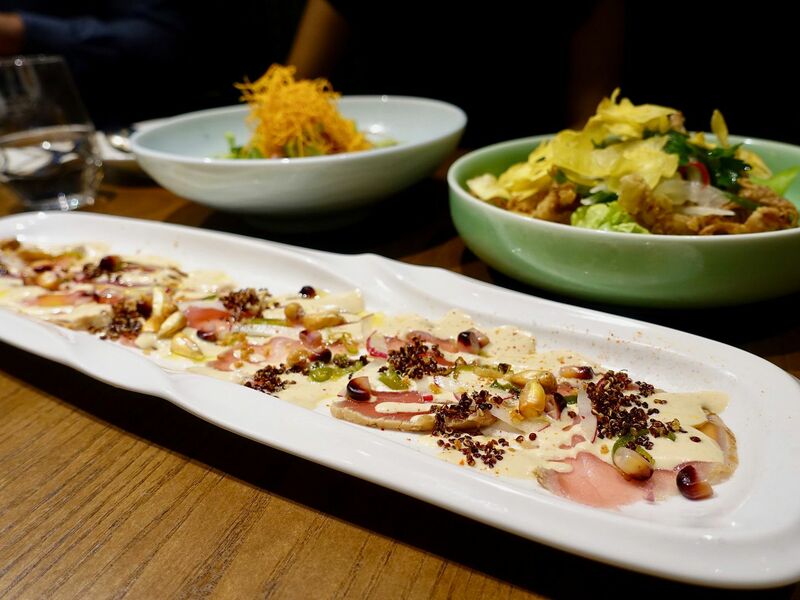 TONO Cevicheria is also Asia’s first-ever Peruvian Cevicheria opened by Peruvian Chef Daniel Chavez, co-owner and chef of OLA Cocina del Mar. 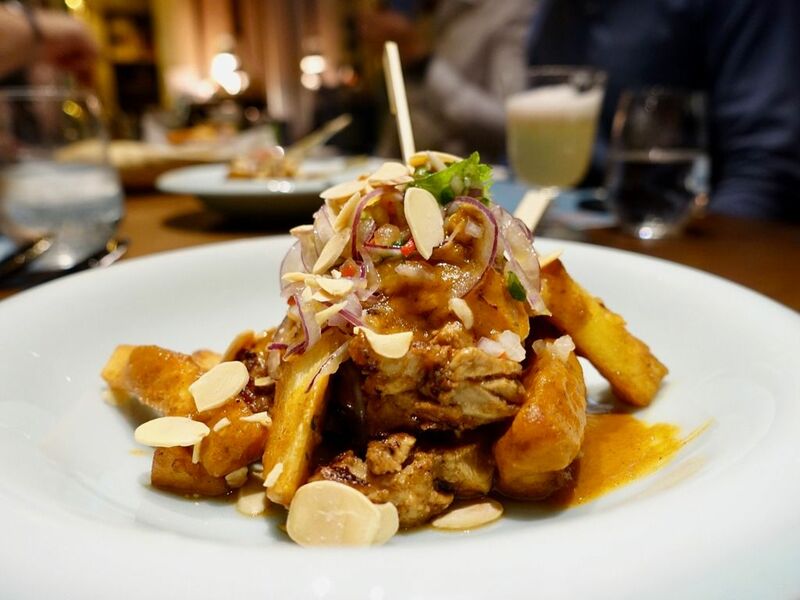 Expect authentic flavors and strong Pisco Sour from the team of Lima-trained Latin American chefs. If you're wondering what Peruvian food is like, well... It's kinda fusion, with influence from the Incans, Spanish, Africans, Italians, Chinese, and Japanese. We can see a mix of all flavors in their national dish, the ceviche. (I'm just making this up, there isn't a national dish but if there should be one, it has to be ceviche.) 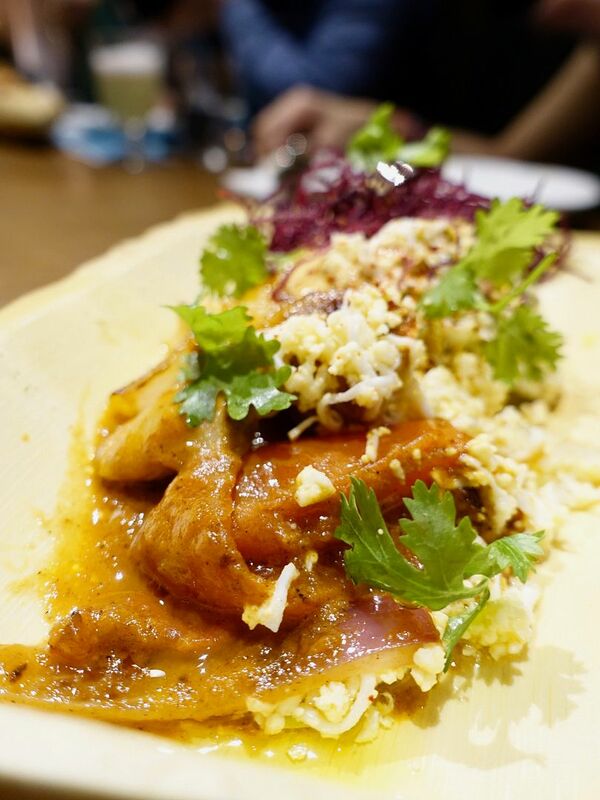 Learn more about Peruvian food in my post on my Lima food tour here. For the uninitiated, ceviche is made with fresh seafood, citrus (usually lime), chillies, and onions. The creamy marinade that comes from the run-off of the seafood is called Tiger's Milk and it is used to cure the seafood. What's best with ceviche? 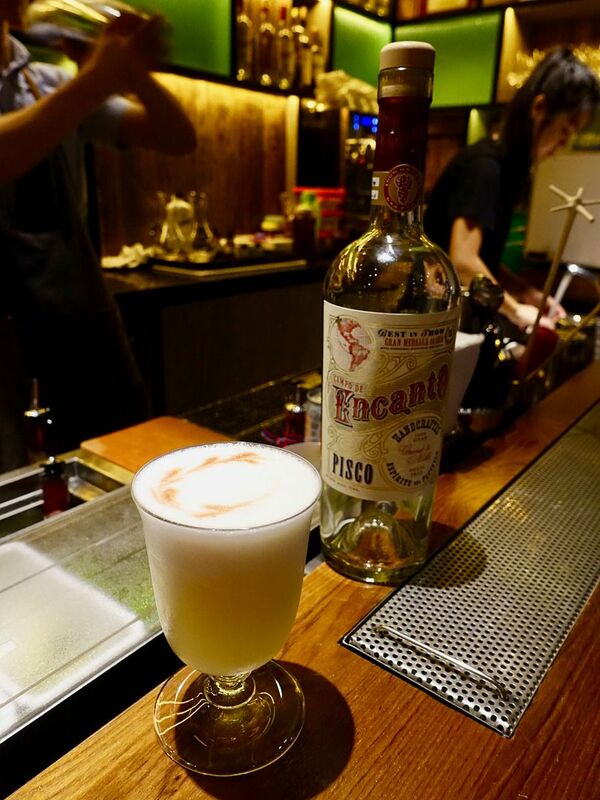 Pisco Sour. The one served at TONO was delightful though it could do with a bit more Sour. At TONO, there are a few types of ceviche to pick from. Starting with my favorite Tono Ceviche ($28). This mild but balanced dish uses an interesting tiger's milk which features charred ginger, and smoked aji amarillo (peppers) among the typical citrus-fish jus. Plus there's an added crunch from the crispy baby calamari to go with the fresh fish. 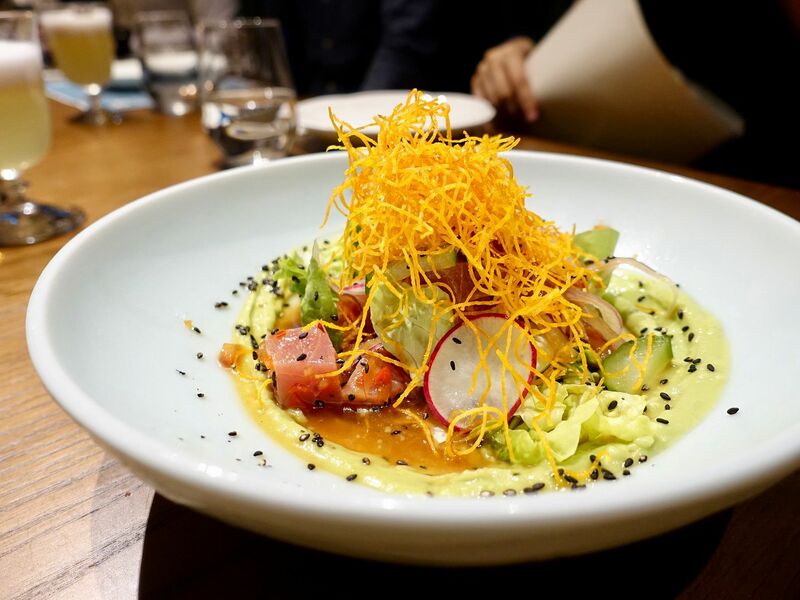 If you want something to kick start your appetite, the Nikkei Ceviche ($24) is a tart Japanese style yellowfin tuna salad with a soy, mirin, hondashi tiger's milk. There's a lot of lime in this one! There is some avocado puree with the dish but i couldn't detect much of it due to the overwhelming acidity. 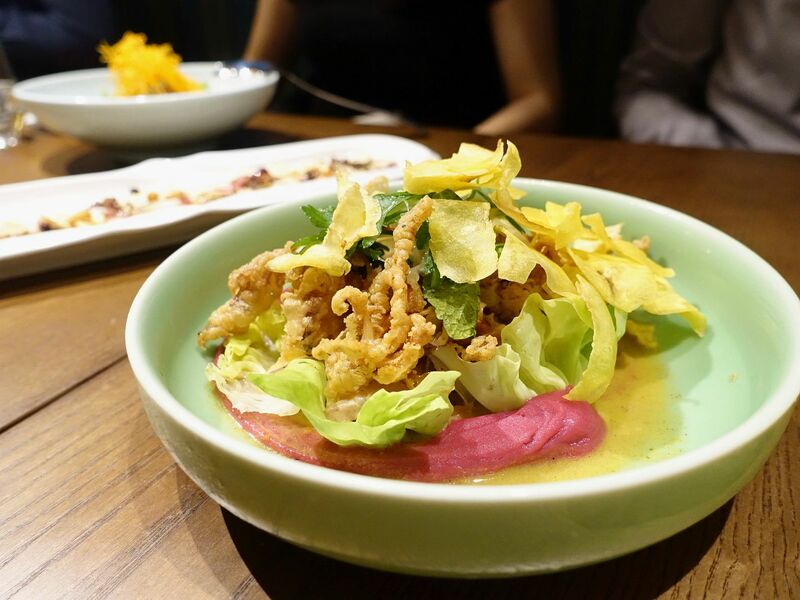 Another Japanese inspired dish is the Yellow Pituco Tiraditos ($24). The yellowfin tuna is sliced thinly in this one (almost carpaccio style), and dressed with chilli vinaigrette and some cream sauce. The spiciness is one that will take you by surprise and give you a hacking cough (like that when you choke on ma la). The garnishes depends on chef's mood for the day and we had radishes, crispy quinoa and plantain chips on ours. Fun fact of the day. There are more than 4000 varieties of potatoes in Peru. Well we only had 1 type in the Escabeche causa ($22) which is served with 2 types of chicken (chicken shreds mixed with mayo, and grilled chicken with panca chilli sauce) served with potato mash and escabeche sauce. The piquant sauce is made with fresh peppers and aji panca (dried red peppers), garlic, tomatoes and onions, with chicken stock. The aji panca gives the dish a light smokiness. 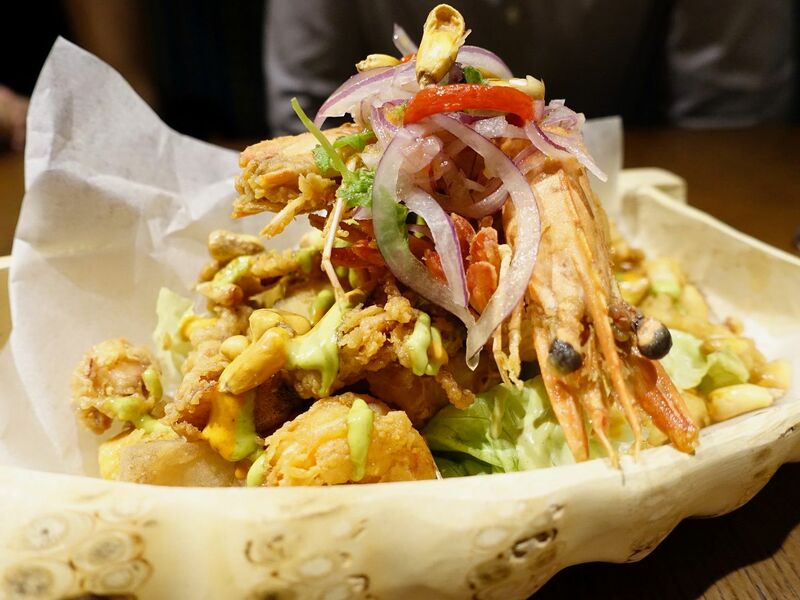 Skip the Jalea ($32), which is essentially a crispy seafood platter with tapioca chips, salsa criolla and smoked chili mayo. It's not that it's not nice, it's just that there's nothing special about it. 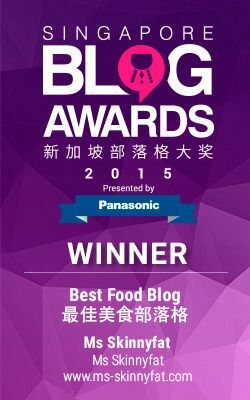 Plus we can always get more interesting seafood elsewhere in Singapore. Same goes for the Lomo Saltado ($40), a Chinese influenced stir-fried beef with red wine vinegar and the other typical Chinese aromatics. As with their Chi-Fa (Peruvian Chinese food stalls), this is served with french fries and rice. My take? I'd have the authentic Chinese stir-fry. Anticuchos (chicken or beef, $22/25) are meat skewers which have been marinated in a mix of red wine vinegar and aji panca before being seared on a plancha. It is served with a Chalaquita sauce made with a little tomato, pepper, onions and white tiger's milk (used in ceviche clasico). The beef was more juicy than the chicken skewers. Peruvian meat dishes, actually most dishes, have varying degrees of sourness. 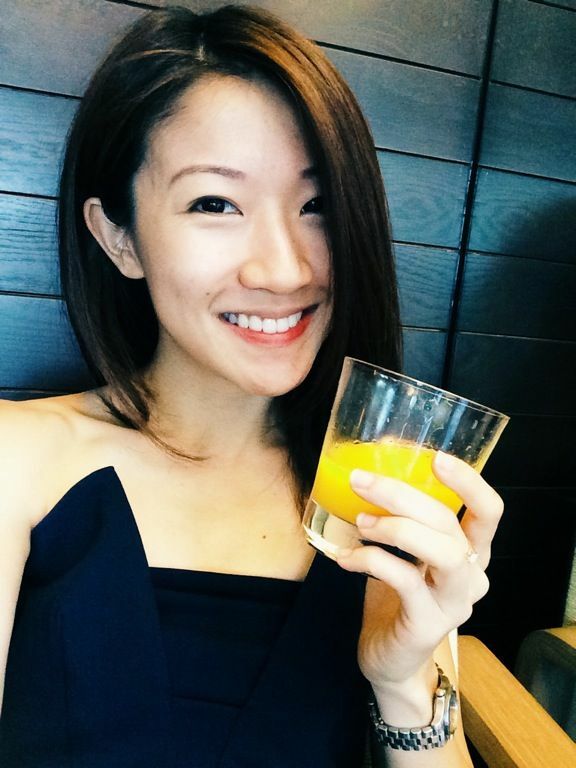 It's appetizing at the start but sometimes you just want something heavy to anchor the meal. Thankfully we had the Arroz con Mariscos ($34) a seafood rice with crabmeat, fish, prawns, and calamari in aji panca, aji amarillo and achiote oil base. Long grain rice is used here and provides more bite. The seafood remained succulent as they areseared separately before being folded into the rice. Peruvians love their sweets and i had too many alfajores con dulce de leche when I was in Peru but these Alfajores ($12) at TONO are way better! The light butter cookies with dulce de leche and mango mousse simply disintegrates into powder when you bite into them. The dulce de leche is housemade, as is the mango mousse. Both are delightful without being cloying. More rice for desserts? Sure if it's Combinado ($12), a comforting spiced vanilla rice pudding and purple corn Mazamora. The rice pudding is made of bomba rice cooked with milk, cream, sugar, orange peel and vanilla, with coconut puree added at the very end. While the purple Maxamora syrup may look strange, it's made with Christmasy ingredients like star anise, apples, and quince, along with pineapple skin and purple corn. It made me miss the sweet Chicha Morada drink which is served everywhere in Peru. 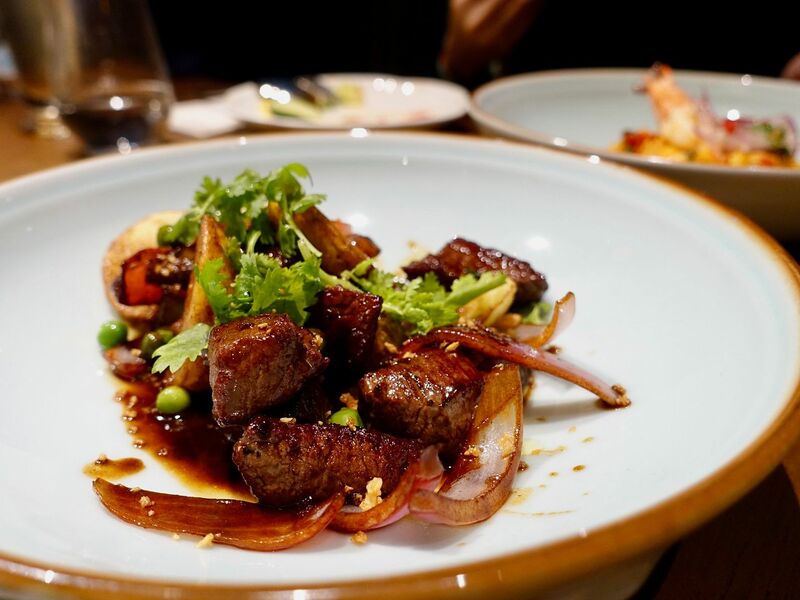 Make sure you call ahead for a table at TONO. They are packed everyday already!